The recommended reading below contains books on a variety of topics that any potential seminarian, seminary graduate, or interested student of theology should consider studying carefully. Make no mistake about it - you'll do a lot of reading in seminary and on a variety of topics - theology, church history, preaching, biblical studies, counseling, languages. 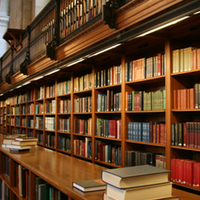 Seminary is an excellent time for any pastor or diligent theological student to build up his or her library. Of course, these recommended readings only scratch the tip of the surface. If you attend seminary or become a serious student of theology you will likely accumulate hundreds of books on a variety of subjects. The book list below can serve as a guide to the potential seminarian regarding the types of subjects you will study while in seminary. 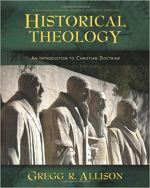 The books fall into common subjects that are part of any seminary or divinity school curriculum - biblical studies, theology, church history, philosophy, and practical theology. There are many primary source texts listed below - Augustine, Calvin, Wesley, Barth, Tillich, Haeurwas, Yoder, and more. There are also more "textbook" type recommendations that serve as common texts in seminary curriculums. The list is hardly intended to be exhaustive, but if any student were to read (and study carefully) the books on this list, he or she would enter seminary with a distinct advantage - a degree of theological and biblical literacy that would be quite useful throughout one's seminary career. it goes without saying that these recommendations reflect my own interests and concerns regarding seminary curriculum. The list emphasizes "classic" works of theological studies rather than more current works and for one simple reason - only time will tell if a book will stand the test of time. Today's "flavor of the month" may not be in print five years from now, but people will still be reading and wrestling with Augustine's Confessions, there is no doubt. Still, there are many works here that make the list simply because, based on my own experience and education, I believe they merit inclusion. The books are listed alphabetically by the author's last name. If you click on a book title, it will go to another page where you can read a brief summary of the book, discuss it, and buy it from Amazon.com if you wish. If there are books that you think merit inclusion in this list, by all means - send me a message and I'll be more than happy to consider your recommendation.